The Humble ODV 18 is a simplified version of the ODV s Dumble style amplifier. It has the sweet ‘bell-like' clean tones, and a harmonically rich, expressive and dynamic overdrive of the ODV S If you are a player that appreciates the king sized tones of Larry Carlton and Robben Ford then we have the amp for you at an affordable price. I will add the recording notes and clean guitar clips as soon!! Here we have another fine amp from a British boutique amp builder with the fabled “D” or ‘Dumble ' sound. What started as a one-off custom amp request by Rob Rolph (guitarist) has become a mission to build a production model which holds true to the original's legendary tone, build quality and durability. The Humble ODV 18 is an 18watt 1x12 combo, 1x12 extension cabinets can be built on request. 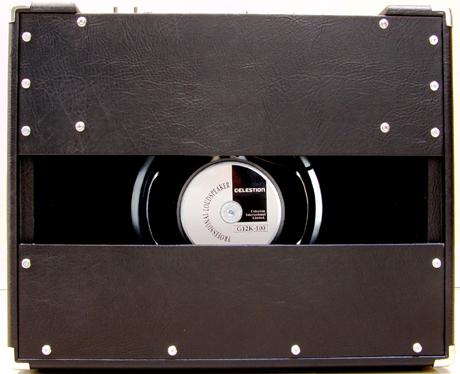 Following many months of testing, you may be surprised to find, the standard speaker fitted is the Celestion G12 K100 with which we've had great results. Of course custom requests are negotiable. There are many features with the Humble ODV 18 ODV. The character of the amp and behavior of the tone controls have been voiced to the Rock setting of the ODV S Rock/Jazz switch. The overdrive sound is produce by adding gain stages to this core tone, and therefore shares the same tone controls (and all boost options). There is one stage of extra boost available from the amp which operates in both clean and OD modes, being the Pre-Amp-Boost which bypasses the tone stack for an increase in gain. The amplifier incorporates a built in accutronics 3 spring Reverb with a level control on the front panel. 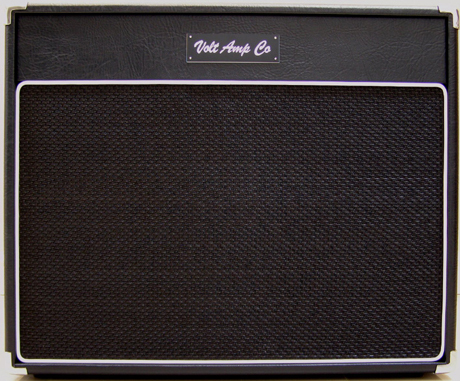 Please take note that the amp is entirely hand wired using traditional methods employing eyelet boards, common star grounding and point-to-point wiring. The output stage features separate 8 and 16 ohm outputs. The chassis is made of hi-grade aluminium . All amps are given a 100 hour burn in period on factory valves, to stabilise new components, plus detect any early life component failure, then it's re-valved and re-biased ready for delivery. Full function 2 button foot switch included. Combo: 24 " x 9.25 " x 20 "
1 x 12" Celestion Speaker. If you are interested in the Humble ODV 18, please contact us, by either Clicking Here or Telephoning us at 01785 812071.